August was National Water Quality Month. Homeowners and renters can use the opportunity to learn more about their water quality, then take some simple, inexpensive steps to improve the water quality in their homes. Various microorganisms, elements and other pollutants can affect water quality. Heavy metals, bacteria, fertilizers, industrial waste and water-treatment chemicals can all seep into drinking water. Such contamination is rare in the United States. Nonetheless, the federal government helps maintain and ensure pure and clean drinking water. The Environmental Protection Agency requires every community water supplier to comply with the Safe Drinking Water Act and provide an annual report for customers. The report must include water sources and known contaminants. The EPA has links to most water suppliers and their reports at its local drinking water page. If you can't find your community on the list, contact your water supplier directly.Suppliers are required to report any water-quality violation. Minor problems must be included in water bills, but more serious issues must be reported and publicized within 24 hours. Unfortunately, not every water supplier complies with the federal law. If you can't get a water-quality report, consider reporting the supplier to county or state officials. Also, families with young children, expectant mothers or people with compromised immune systems should pay for a lead test. Pipes into homes can add lead to the water. Order a lead test kit here. Regardless of your supplier's water quality information, you might consider taking steps to improve water quality in your home. Here are a few ideas, from cheapest to most expensive. Boil water: Boiling is the cheapest way to purify water, but it may increase the levels of some contaminants including lead and nitrates. 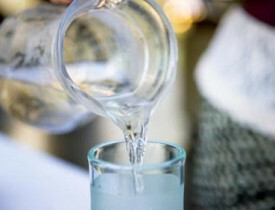 You should not rely on boiled water unless your water supplier issued a specific warning about microbial contamination. Buy a filtered pitcher: There are several kinds of water filters, but the cheapest and simplest is an activated carbon filter in a water pitcher. Just pour water into the top of pitcher, wait a few seconds and pour filtered water out of the spout. The best models have an indicator on the filter insert showing when it needs to be replaced. There is no installation needed. Manufacturers suggest replacing filters every three months -- more regularly than other filters below -- but you can make a filter last longer because you only filter drinking water rather than other household cleaning and cooking water. Carbon filters reduce or eliminate chlorine, heavy metals, parasites, pesticides, radon and most volatile organic chemicals. Buy a faucet filter: For roughly the same price, you can put a similar carbon filter directly on any faucet in your home, or under a sink. It may be more convenient, but many models are always on, meaning all your water is needlessly filtered. Buy a whole-house distiller: For greater peace of mind, supplement a carbon filter with a distiller on the main water line into the house. Distillers boil water and re-condense filtered steam. They are more expensive to buy and install, and they require electricity to operate. However, they will help eliminate arsenic, fluoride and other elements that slip through carbon filters. For any style of filter, search the label for units that meet NSF/ANSI Standard 53, an independent water-quality certification. Buy bottled water: Finally, you can buy bottled drinking water, but it is an expensive, ineffective and wasteful way to improve your home drinking water quality. Bottled water may be less pure than tap water (which you are already buying from your water supplier). It also may not have been tested as stringently as city water. Plastic bottles will also pile up in landfills. Bottled water is only a good option after a dangerous violation is reported.